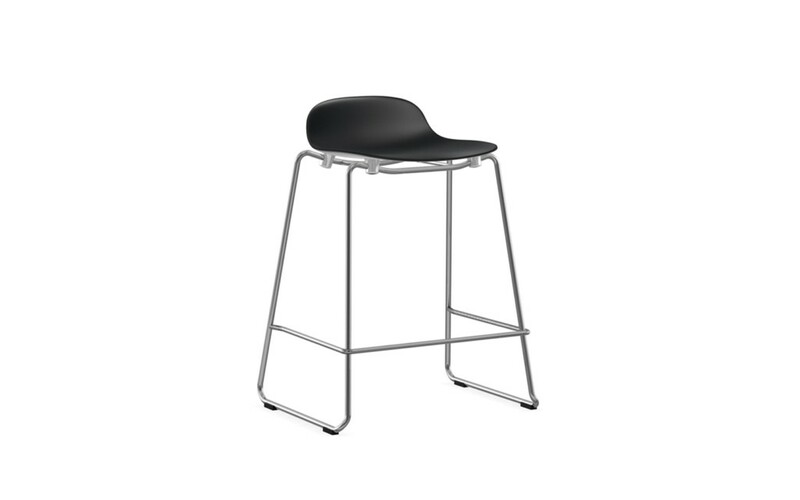 dimensions: low stool - 585mml x 450mmd x 775mmh x 650mmSH. 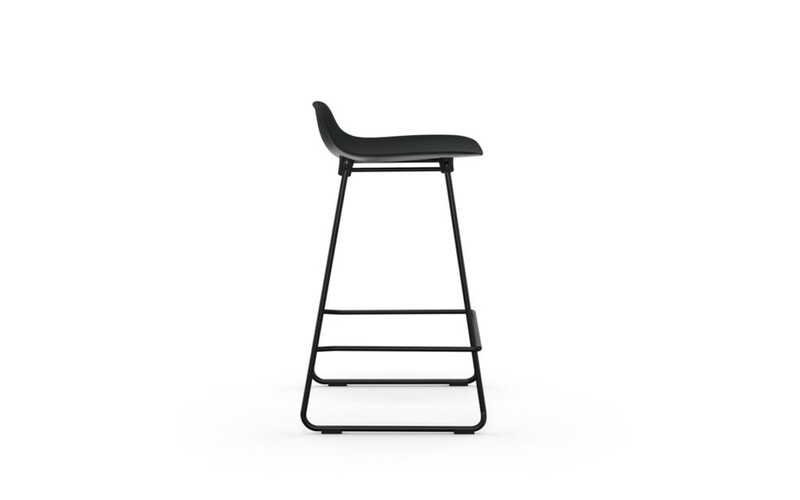 High stool - 605mml x 485mmd x 875h x 750mmsh. available in: plastic shell and steel legs are available in 6 colours - black, red, white, grey, blue and green. chrome legs are also available. 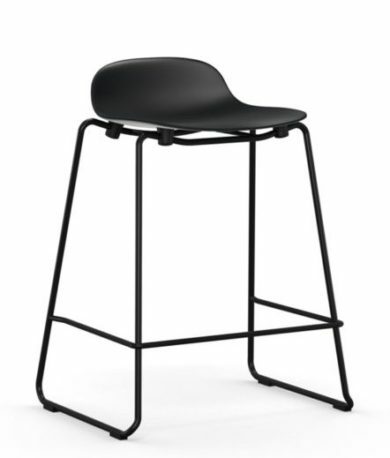 Form stacking barstool for Normann Copenhagen. 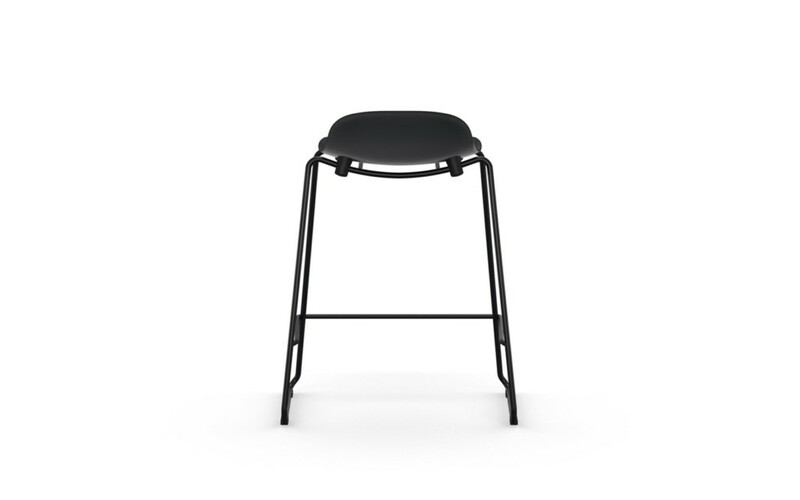 the stacking chair has a light and slim silhouette and gives form a new level of flexibility. the chairs are easy to put aside when they are not in use, making it possible to transform interior furnishings and store larger amounts of spare chairs. 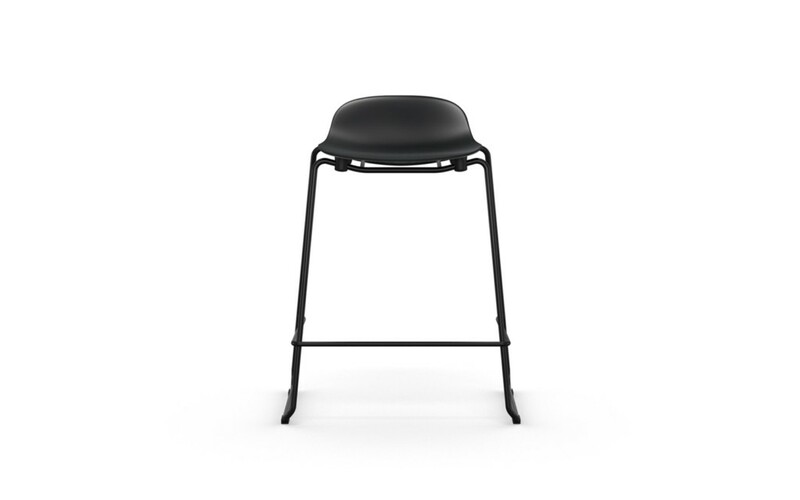 the form stacking chairs are easy to stack from the front by sliding one chair over another. the design of the chair base also makes it possible to connect the chairs to each other in rows. the specially-developed assembly principle permits a wide range of combination options, in which the various form models, chair, armchair and barstool, can be given different expressions, all according to the choice of base, color and upholstery. with a dazzling number of over 40,000 possible combinations, form can be customized to fit exactly the style and mood that you want to create. the form stacking base is available in six colors of steel and chrome.